Estonian President Ilves interview: The relationship between NATO and Russia is illusory. 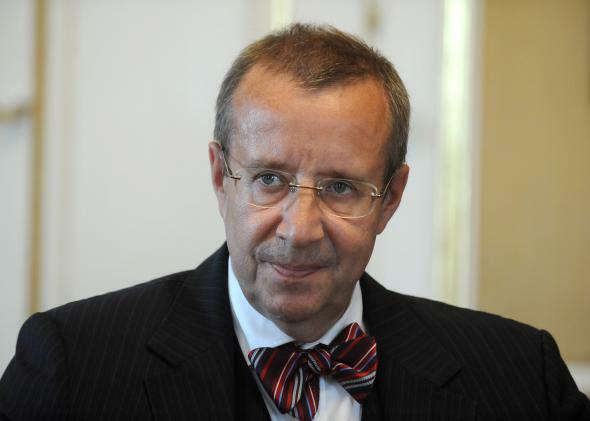 An interview with Estonian President Toomas Ilves. What do you think of the situation in Ukraine? The issue is not just Ukraine—it is the entire post-World War II order, which is under question. The Helsinki Final Act forbade border changes through aggression and says explicitly that no such change in borders would be recognized. Right. Clearly why the United States is worried—and oddly more worried than some countries in Europe—is that this is chaos. If you can’t count on the most essential agreements—that you don’t invade countries and don’t change borders—then we are in a whole new world here. I would say the West has been in a state of shock. My analogy is that we are in 1945 or 1946, when the United States and Europe started noticing that their erstwhile ally against the Nazis was starting to do funny things and toppling governments and starting a civil war in Greece. In the beginning, people didn’t know [what to do]. Then the socialist Labor Foreign Minister [Ernest] Bevin came up with the idea of NATO. He saw Hungary, Poland and Czechoslovakia go, and he got worried. He approached the Americans and said, let’s do something. The response was NATO and the Marshall Plan. The world had changed. … That was the beginning of the Cold War. I keep reading that Narva [the Russian speaking part of eastern Estonia] is next. But this is silly. The average Russian miner in Donetsk gets 200 euros a month. The average Russian miner in Estonia gets 2,000 euros a month. All residents of Estonia are members of the EU and have free movement of labor across Europe. Polls show that people think the Russian annexation of Crimea is good. But if you ask them if they want to join Russia, they say no. Russian propaganda is said to be very effective in eastern Estonia, is it? Yes, in so far as getting support for Crimea. At the same time, we are having a strong upswing in Russian liberals moving to Estonia. We see a rising belligerence all around toward many countries: practice bombing raids approaching Sweden; others approaching the northwest coast of the United States. … In 2011 they were practicing using a tactical nuclear weapon on Warsaw. They didn’t do it, but you don’t know what they are going to do. Last week, they opened criminal proceedings against Lithuanians who dodged the Soviet draft 25 years ago. The 4,000 man rotational force? It is all so new, so it is hard to say. It’s not about conventional forces going over the border. They used the little green men (counterinsurgency fighters) until they were getting badly beaten by the Ukrainians and then they brought in their conventional forces. The big difference is that Ukraine is not in NATO and we are. This is about Article 5—if it ever fails, then NATO no longer works. Then no one trusts it. We are on the right side of the Rubicon. … There is a big difference between NATO and non-NATO. Why is NATO not defending Ukraine? Because Ukraine is not a member of NATO and we are. The question is not if we believe in Article 5. The question is, does Putin believe in Article 5? I think they would. Obama said quite clearly that Tallinn and Riga and Vilnius are no less secure than Paris, Berlin, and London. You’ve talked about the NATO–Russia Founding Act and how it should be changed for a new security environment. The problem with the NATO–Russia Founding Act is that [it was signed] in 1997 when Boris Yeltsin was president. It was like peace and love and Woodstock, and now we are in Altamont. I would argue that between 1997 and 2014, the security environment changed substantially. The U.S. is not going to put troops on the ground in a non-NATO country and risk a fire fight with Russia. They would risk a fight in a NATO country because it is a treaty obligation. There is no treaty obligation for Ukraine. When we became independent, we got the best and brightest to work on getting Estonia into the EU and into NATO. Thank God we did.